For anyone who loves with Laos’s ancient beauty and history sure that cannot miss the list of world heritage site in Laos. 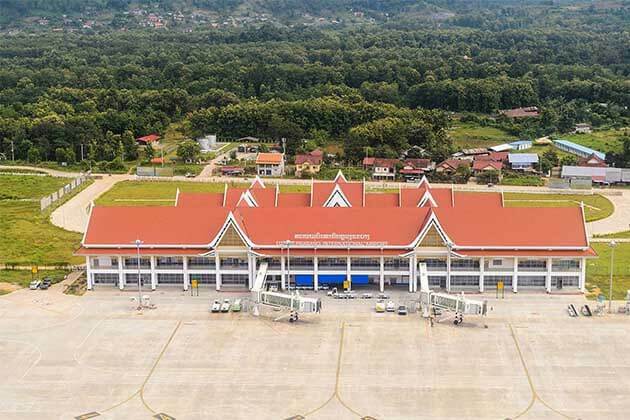 Belonging to South East Asia, which consists of many UNESCO World Heritage Sites, Laos also plays an important part in enriching the list of world heritage in Southeast Asia. Well, it’s easy to start with a small country, the Land-locked and sparsely populated nation has the grand total of two sites. 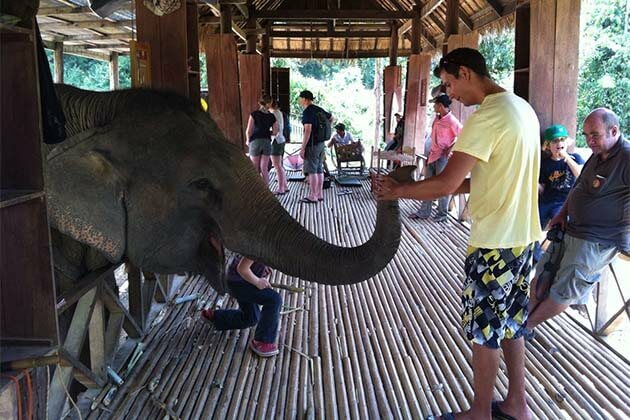 Set your foot in Laos, certainly, you can’t miss both of the solid and indisputable classics. You will be amazed by the landscape as well as the history of them. Besides the official sites have been admitted, there are some destinations could be deserving of the future inclusion as well. 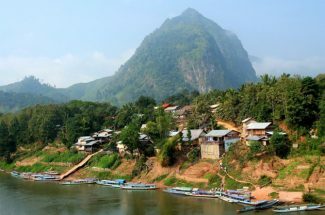 Located in northern Laos and former capital of Luang Prabang has been become the lucky recipient of World Heritage status for over 20 years already from 1995. 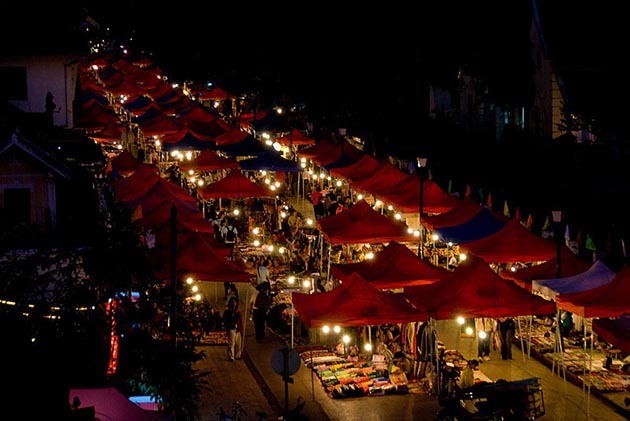 Known as the former royal capital of the former kingdom of Lan Xang, it became the first administrative, political and spiritual city of the Laotian realm with the spectacular combination of ancient temple and French colonial period architecture and its exemplary state of preservation. Situated on a narrow tongue of land surrounded on 3 sides by the Khan and Mekong Rivers meant the old town remained largely intact and UNESCO’s early help, therefore, thanks for more recent investment could lead to modern development that other Lao towns have seen. 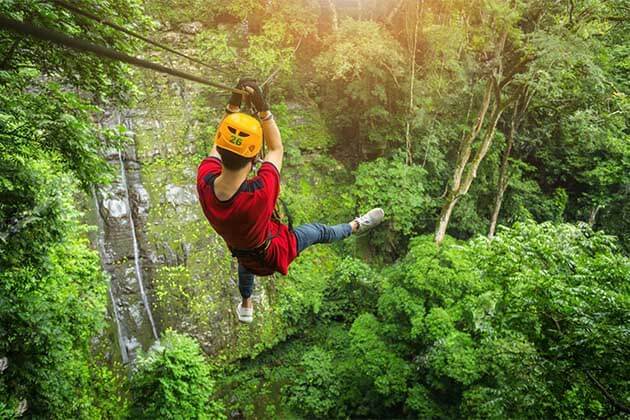 To make this place becomes the highlight spots in Laos, the Lao government makes a lot of the preservation plans before welcoming the tourists and the foreign investment. Although all new development has thus taken place away from the old center which with it’s lovingly restored old villas, the narrow lanes winding between ancient temples and strategically placed riverside cafes is an absolute delight to explore. Certainly, this is one of the best preserved old towns of Southeast Asia and anyone coming here fall in love under its charm. Located 500 kilometers south of Vientiane on the east bank of the Mekong River, Wat Phou is an excellent example of the early classical Khmer architecture. 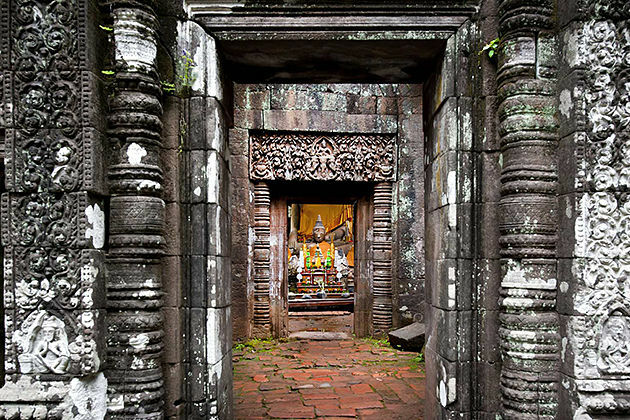 One of the ancient beauty of Wat Phou, the ancient city of Shestupura is believed to be the oldest urban settlement in Southeast Asia. Shestupura was settled in the 5th century AD. Besides, the main Wat Phou Temple Complex, there are several archeological and nature sites nearby that you must see. Regard as the most beautiful of Khmer temples, Wat Phou in Champasak is distinguished as the symbolic environmental as it for its masterful architecture and iconographic arts. Nestling at the foot of the 1408 meters Phou Kao Mountain, The temple exists as Lingapar Wata or “Linga Mountain” because it looks like the Linga of the Hindu God Shiva. It was said to be Shiva’s birthplace, this has been a sacred site since at least the 5th century. 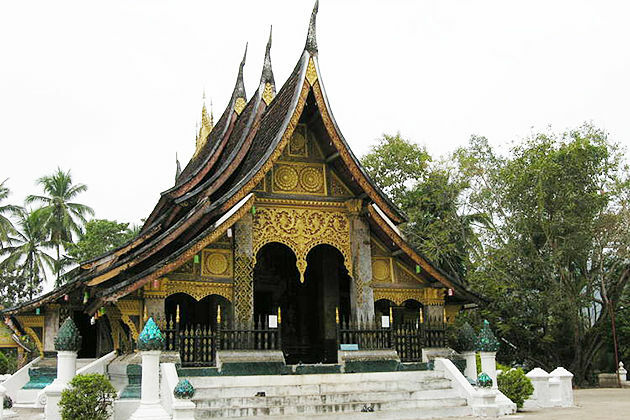 The temple complex measures 1,400m in the line running east to west up the lower part of the Phou Khao Mountain. One of the special in the structure of the Temple is that there are 6 different levels which connected by the steps and central walkway. Although the construction was made by the human, the uppermost level is a natural terrace where the flows out of the mountain. The water flowed through the main sanctuary and the center of Shiva Linga. 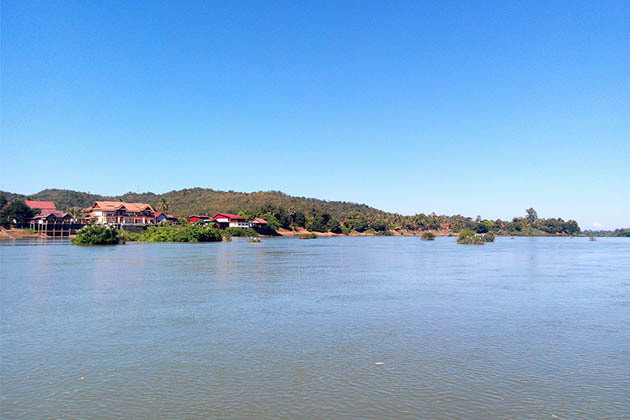 Then, the sacred stream flowed down into two sacred reservoirs and finally into the Mekong River, which regards as the flow to maintain the ancient Khmer Empire. Except for the temple complex, surrounding the Wat Phou, there are also have a lot of other highlight structures: the Baray which is a man-made reservoir used for irrigation in the ancient times; the Nnamdi Hall, small pavilions, the main shrine, brick towers, and the library in the south. 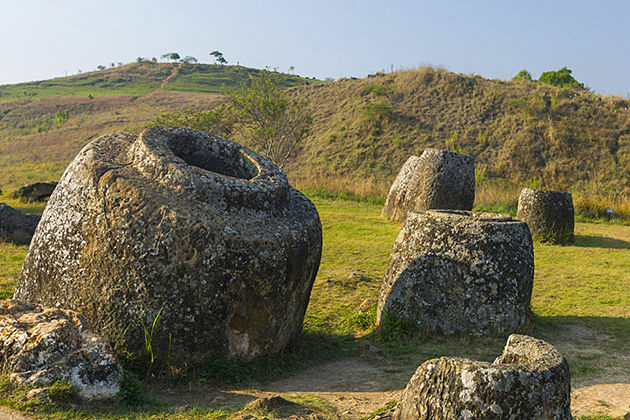 Plain of Jars, which is the third site is entirely different nature that reckons well deserving of UNESCO status located in northeastern Laos. you will be amazed by these mysterious giant stone jar which existed from 2,000 years ago. Actually, it has been on the UNESCO list since 1992, and continue waiting for the admission. Perhaps it’s not an obvious choice as the famous jars, but surely, it is also one of the most spectacular temples from the 16th century. 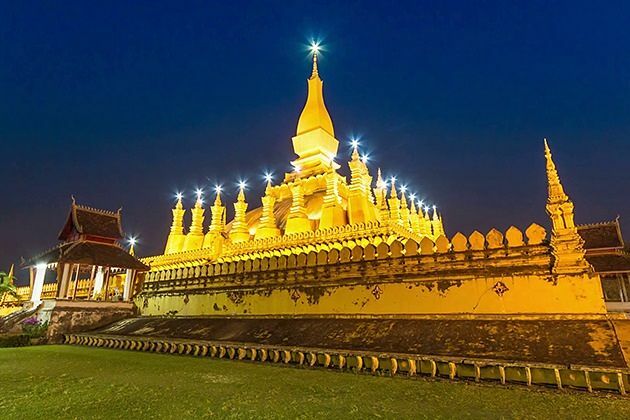 During a long time, combined with the unique architecture, is carved finely, That Luang deserves to be noted in UNESCO’s list with other sites.